Finding Christmas stocking stuffers for toddlers can be a bit of a tricky task. 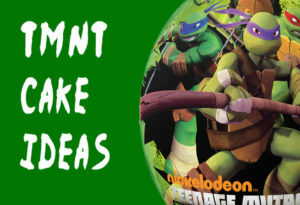 But don’t you worry: Here are 100 inexpensive stocking stuffers that any kid would love to have. Before I give you my list, remember that when looking for gifts for kids, it’s best to have some information about the individual child. This way you can give gifts that suit his or her personality. I know it’s a basic gift-giving concept but it’s something that we sometimes forget. I’ve given some of these presents myself and they’ve been very well-received. Of course, the success of your present will depend on who you give it to, but this is a good place to start. 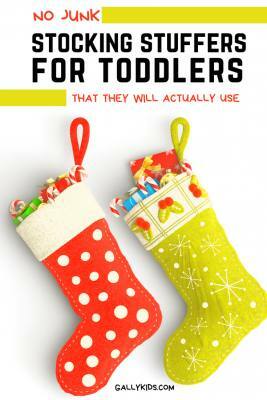 These toddler stocking stuffer ideas are good for both boys and girls. The parents may not be pleased with all the noise they make at first, but once they see how quickly their children learn to play music with it, they’ll be happy too. This rainmaker is my favorite. It’s great for babies as well as toddlers, and is just the right size for little hands. Make sure you buy one that is BPA-free like this one by Hohner Kids. A small flashcard set with 40 different bilingual words and 80 enticing images. 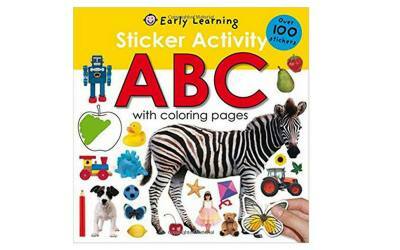 Great for identifying colors, shapes, animals, and more. Munchkin Traveling Flashcards are small enough to fit in a diaper bag, making them great for traveling or to keep toddlers quietly busy at a restaurant or in the car. All the pages are laminated for durability. When he opened them, he immediately asked for a piece of paper and started stamping right away, even though there were still other presents left to open! If you have a big dinosaur fan, these are surely going to be a great hit! The set comes with 24 different dinosaur stamps. If your toddler loves unicorns, she’s going to love this simply adorable Unicorn queen shirt — a different take on girl power! Ha! 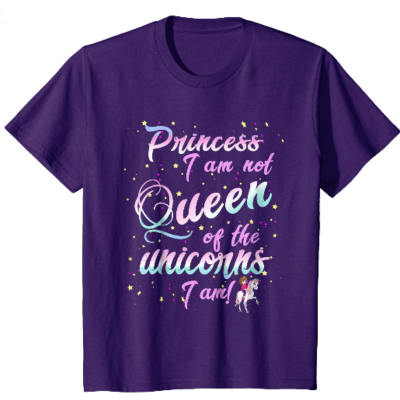 The shirt says, “Princess I am not, Queen of the unicorns I am.” You can choose from 4 different colors but I particularly like the purple and the navy blue. So simple and yet so funny. Drawing pad, sketch pad, doodle pad—call it what you want, it’s always a winner when gifted to a budding artist. Toddlers love to scribble with colorful crayons and markers, and a drawing pad or any art-related item is always a good idea. 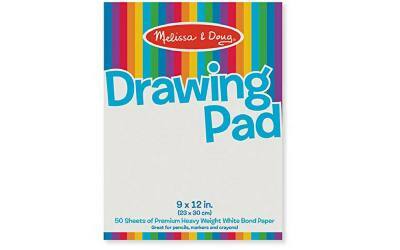 The Melissa & Doug Drawing Pad is very high quality for the price, with sturdy tear-out paper good for any materials. It usually goes on sale just before Christmas, too. 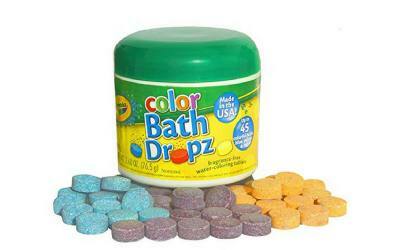 Make bath time fun with these colorful bath dropz from Crayola. fragrance, dissolve easily, and won’t stain your tub. 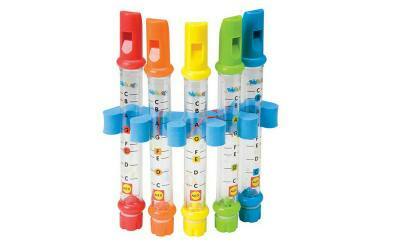 For any musically-inclined child, these water flutes are a whole lot of fun. To play, fill the flutes up with varying amounts of water to make different tones. These ALEX Toys water flutes come with waterproof song sheets for those kids who are a little bit more advanced. Obviously, most toddlers will not suddenly be making heavenly music while in the bath, but these flutes a great introduction to playing and making music. Very easy to handle for little hands. Kids love binoculars, and you can find a model that suits any kid’s personality. These colorful pink ones are strong and sturdy and have a 4×25 magnification. I gave these to my niece when she was two-and-a-half years old and she was immediately at the window people-watching! 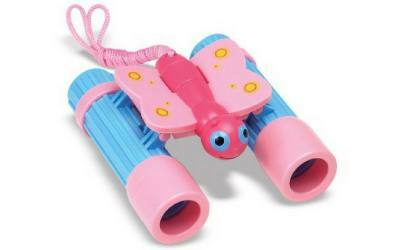 If the child you’re giving a present to is not too keen on pink, other binocular designs might just be of interest. In addition to Melissa & Doug, Fisher-Price and Educational Insights make tough kids’ binoculars that won’t break easily. My son is now seven years old, so he’s no longer excited by things like animal stickers. 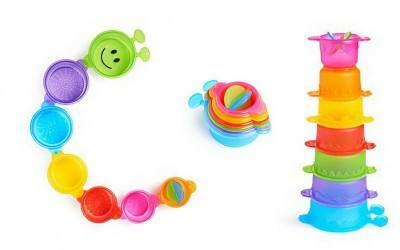 These caterpillar-shaped stacking cups are bath toys and building blocks in one. These are multi-purpose cups. Aside from functioning as stacking toys that help develop a toddler’s fine motor skills, they can also be used for pouring and straining water. Each cup is labeled 1 through 7 to teach number recognition, and they nest in each other making for easy storage. 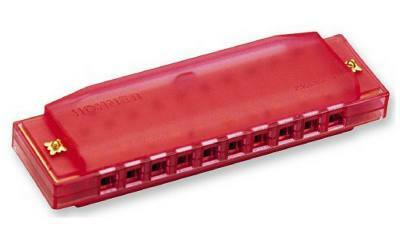 Get to the groove with this harmonica. There are lots of different musical toys that are great presents for both toddler girls and boys like the Maracas, bells, or bongos. This harmonica is my favorite one however. 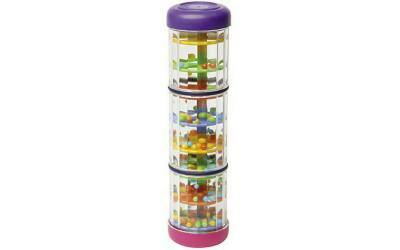 It’s easy for little hands to play with it without them getting very frustrated. Plus I really love the toys that Hohner kids make and this one is one of the best ones. It’s designed in such a way that little fingers can easily grip it, it’s BPA free and is made very safe for toddlers to play with. 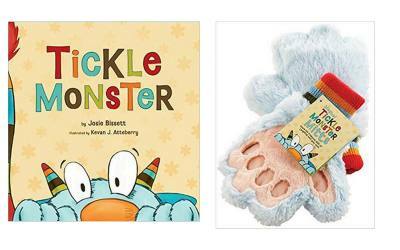 Inspired by the Tickle Monster book, these Tickle Monster mitts are the cutest. They’re blue, fluffy, and, of course, great for tickling. Such a fun pair of mitts! You can even buy these together with the popular Tickle Monster book if your little one doesn’t have it yet. Such fun for kids on Christmas. A first purse just right for a special little girl. Pick one in a color you know she likes, and consider one with added accessories like toy keys, a wallet, a cell phone and play credit cards. 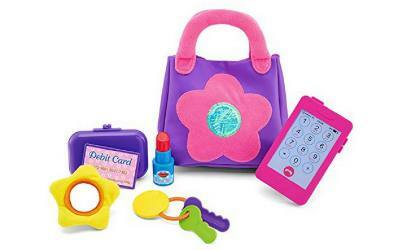 This purse is great for pretend play! And at the very least will keep her away from your own bag! 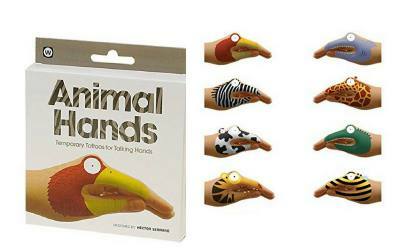 This temporary animal hand tattoo kit is a good activity to do with kids after all the excitement of opening presents. You can find temporary tattoos with all kinds of designs, from animals to dinosaurs to robots. They usually run pretty cheap, costing about five or ten dollars, depending on the manufacturer. Bath crayons are usually a hit with any toddler. At last! A chance to actually write on the wall without getting into 15.trouble! For the kid who loves to eat, unique plates and utensils are fitting gifts. Make it even better choosing utensils with their favorite toy or character. 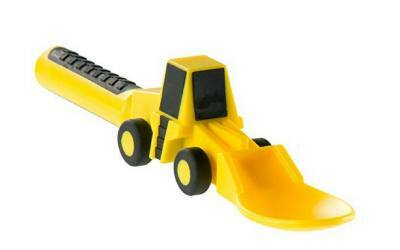 I love the construction theme of this front loader spoon! Good value at less than eight dollars. Books that parents and children can read together make 23. great stocking stuffers. Maurice Sendak’s books are good standbys. 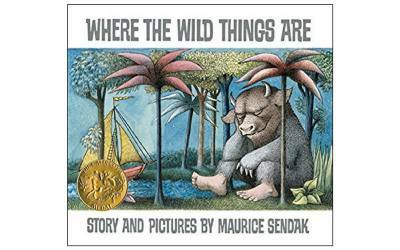 What child wouldn’t want to hear a story about Max’s adventures with the Wild Things? The best stocking stuffers for toddler girls need not be confined to princess accessories and toys. There are a lot of other great ideas for stocking fillers that will make the early morning opening Santa’s stocking a special one for the little princesses in the house. To give you some gift ideas, here are some cute, fun, useful and adorable trinkets to wrap for little toddler girls. Anything educational is always a good idea for stocking stuffers for toddlers. These Playskool Flash Cards have always been very popular. If you’re thinking of giving something your toddler girl could learn from, then you’re going to love this particular set of flashcards by Playskool. This is not just an alphabet flashcard. 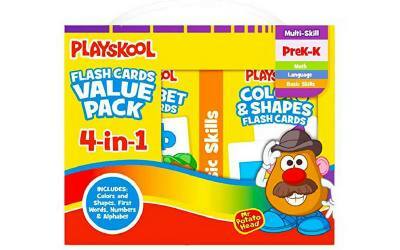 This is 4 set of flashcards for Alphabets, First Words, Shapes and Colors, and Numbers. How about that huh? And it comes at a very affordable price too. A really great gift idea for little ones. 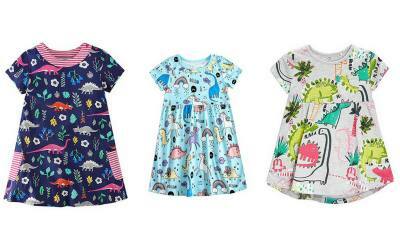 If you have a toddler who is very much into Dinosaur Train right now and loves all things dinosaurs, she’s going to love the Frogwill Dinosaur Dresses. Pair it with a denim jacket and tights and you’ve got this summer dress turned into a cool day dress. This is cotton and you can choose from many different designs. Keep your toddler warm on a cold Christmas morning with these cute warm socks. 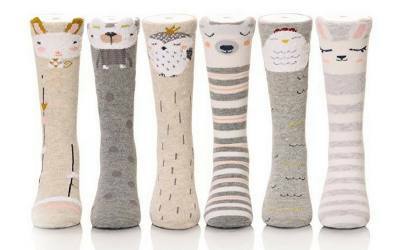 These adorable knee high socks with animal designs. They’re made of soft fabric and keeps little legs all warm and toasty too! Sizes available for kids 1 – 7 years old. Choose from 3 or 6 pairs. Many toddlers nowadays listen to music, movies, podcast or Youtube using a headphone. And what better way to protect their ears but with a headphone that limits the sound decibels. Play and Learn in the bath with these bath stickers. 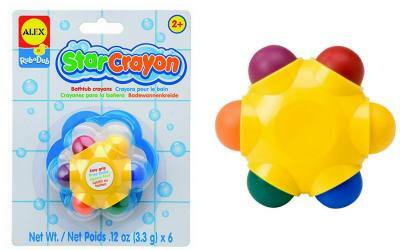 In another page on toddler stocking stuffers, I featured color bath drops as a great filler. Here’s another one that’s just as good and it’s educational too. These are foam stickers to play with in the tub. The one on the picture is that of farm animals which I think is the best option as most little kids loves farm animals. However, if you want other stickers too, Alex Toys has some cute ones available as well such as the bathtime pals which includes foams of people, clothes and trees. Other foam sticker sets includes beach creatures and letters of the alphabet. Building toys are always great for both girls and boys. If you must stick to pink for the stocking stuffers for Christmas this year, Lego has now a new range of pink Lego/Duplo blocks which are proving to be quite popular despite the complaints of some parents who do not want the idea of pink for girls and blue for boys concept. Anyway, there are a lot of Lego building blocks for starters which are perfect for toddlers. There are some big sets but for a stocking stuffer, I quite like their Read and Build Collection of toys. These sets come with a book and some lego toys that they can build based on the book that comes with it. The one on the picture is the Grow Caterpillar Grow. But there are other ones too like the Busy Farm, Let’s Go Vroom and the Peekaaboo Jungle. 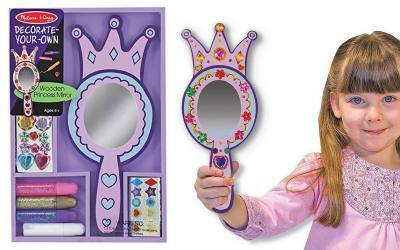 Check out this Princess Mirror by Melissa and Doug is my best suggestion. This isn’t just a mirror — It’s a decorate your own mirror mirror. Your little girl can actually get to design her own Princess mirror into whatever way she likes. In our house, we have lots of band aids with different colors and designs –not so much because we have the need for them but largely because the little ones like playing with them. It’s there for playing doctor, it’s there as part of an accessory that matches a dress, or it’s there to get rid of the boo boos. 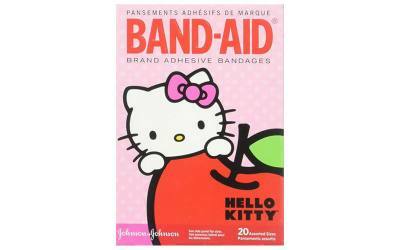 If you have a toddler who’s much like this, then these Hello Kitty band aids are going to be a real hit. I have to give it to this brand for making it this long, don’t you? I remember loving Hello Kitty when I was little and up until now, little children all over the world still love this cute little Kitty. 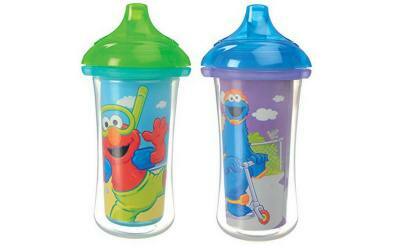 Elmo’s always a favorite during Christmas time and these toddler insulated cups are going to be very well received. This comes with a spout for toddlers to easily transition using a proper cup. It also comes in different Elmo designs. Goes well with the Elmo Fork and spoon that I featured somewhere on this page. 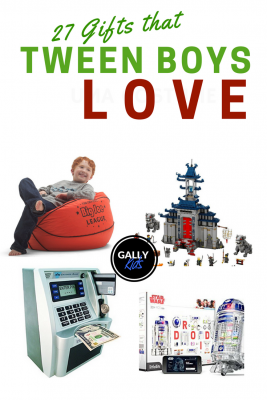 Stocking stuffers for little boys. 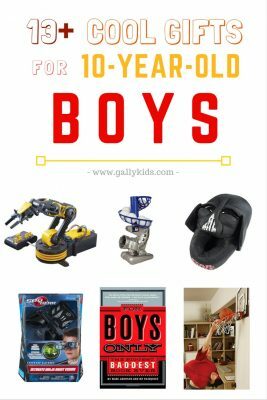 If you’re looking for stocking stuffers for toddler boys, here are some common and not-so-common stuffers just for the little men in our lives. 31. Spiderman underwear. Or any fun underpants really. Best to buy pairs with characters your toddler recognizes. 32. Dinosaur grasping toy. These are made of different segments of wood, allowing the head, neck, and legs to turn. 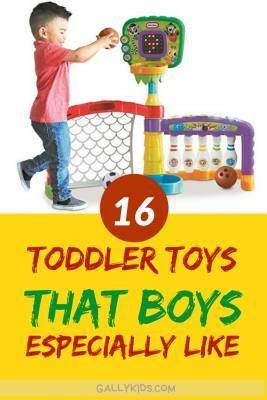 A fun toy that works your toddler’s fine motor skills and pincer grasp! 34. Winter hat. Keep little heads warm on cold days. I especially like Beanie Bomber hats as they keep the ears warm too. 35. Webkinz Midnight Monster. A Christmas favorite. This midnight monster is one that toddler boys will surely love. 37. King Pig from Angry Birds. Many toddlers nowadays are familiar with the Angry Birds game. This Angry Birds plush pig is one that will most likely spend many nights in your child’s embrace. It’s very soft and makes sounds just like the one in the game. 38. Green Toys tugboat. Stuff stockings and help the environment at the same time with these recycled milk jugs turned into toy tugboats. 39. Wind-up frog. Kids practice their fine-motor skills by winding up the frog. 40. Sponge Bob sippy cup. A sippy cup is alwys a favorite. Parents will like it too! I love personalized gifts and these days it’s very easy to get them made. A personalized toddler stocking stuffer is always special and makes a great keepsake. I bought a personalized CD for my son when he was a toddler and now that he’s seven he still loves and listens to it. From crayons to paints, art supplies are great stocking stuffers for toddlers. Bear in mind the age of the child, as well as the possible messiness of whatever you buy. Smaller hands need bigger crayons and paintbrushes. Normally, by age three, kids can transition to smaller tools. 52. Crayola Jumbo Crayons. Easy to hold and hard to break! 53. Funky Star Roll Stickers.Over 100 stickers that toddlers love. 55. Snazaroo face-paint kit. An award-winning quality kit with easy-to-apply paint. 56. Rub a Dub Bath Stickers. These foam stickers you can stick to your bathtub won the iParenting Media award. There are many themes: cars, farm animals, and buildings. 58. 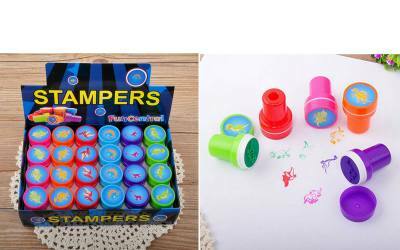 Crayola Washable Kids paint set. 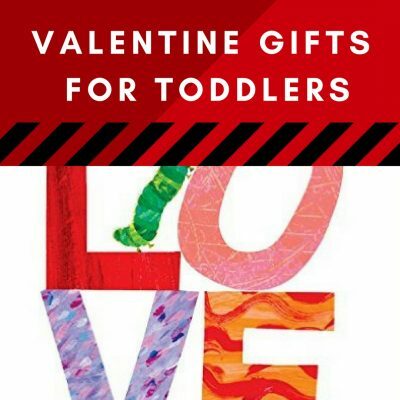 Books are always a staple for anyone’s list of toddler gift ideas. 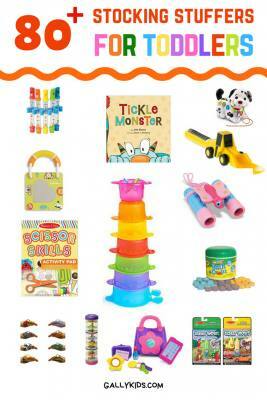 These practical stocking stuffers will help toddlers eat, teethe, clean up, and develop fine motor skills. If you personally know the toddler you’re giving the gift to, then consider which developmental stages he or she is going through and find a useful object to complement the stage. Is he or she going through potty training? Perhaps get a video tape for kids about this topic? Learning how to swim? How about a pair of goggles? Starting to eat with spoon and fork? You get the drift. 71. Vulli Sophie the Giraffe teether. 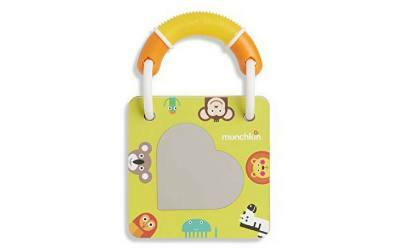 This teether is very popular among parents of small children. 72. Yes To Baby Carrots Bubble Bath. Because bubble baths are always a pleasure, especially for a toddler! 73. Sesame Street spoon and fork. Not even the pickiest eater stands a chance when Elmo is there to help! 74. Gummy Stick Baby Gum Massagers. Helps ease those sore teething gums. 75. Angel Dear pink lamb blankie. 76. Winnie the Pooh sippy cup. 77. Water-resistant drooler bibs. These bibs come in packs of ten, are water resistant, and very easy to clean. More a gift for mom than baby! 78. Big Bird Stack and Nest. 79. Twisting & Turning toy. 80. Baby Einstein flashcards for toddlers.